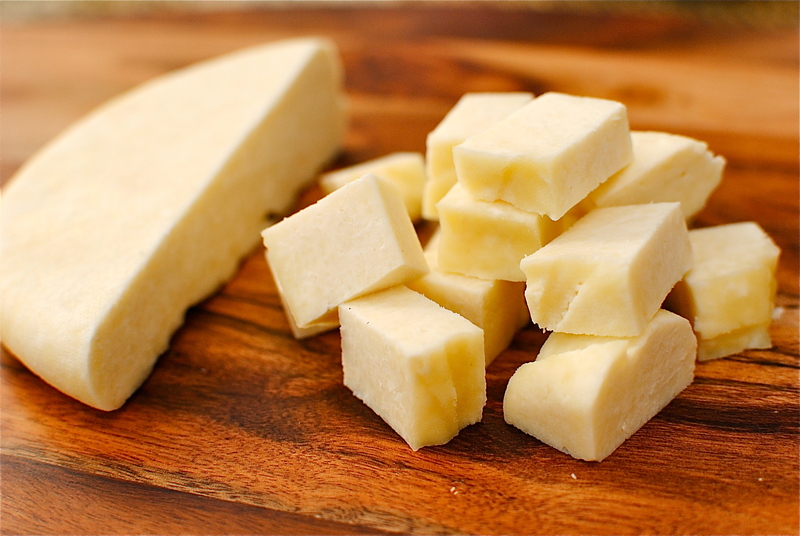 Paneer: Paneer is a fresh cheese common in South Asian cuisine. In northern parts of the Indian Subcontinent, it is generally called Chhena. It is an un-aged, acid-set, non-melting farmer cheese or curd cheese made by curdling heated milk with lemon juice, vinegar, or any other food acids. The preparation of paneer diverges based on its use and regional variation. Paneer remains the most common type of cheese used in traditional South Asian cuisines. Boil the milk in a non stick container. As the milk starts boiling, add in the lemon juice or vinegar. Stir continuously with a spoon, till all the milk curdles. Remove the curdled milk from heat. Strain the curdled milk in the cheesecloth, to separate chenna and whey. Collect the cheesecloth together with the coagulated milk shreds tightly. Place it on a plate and keep a heavy weight on top of the cheesecloth. The paneer would be set. Cut the paneer into cubes or any shape desired. You can also refrigerate the paneer for 3-4 days.